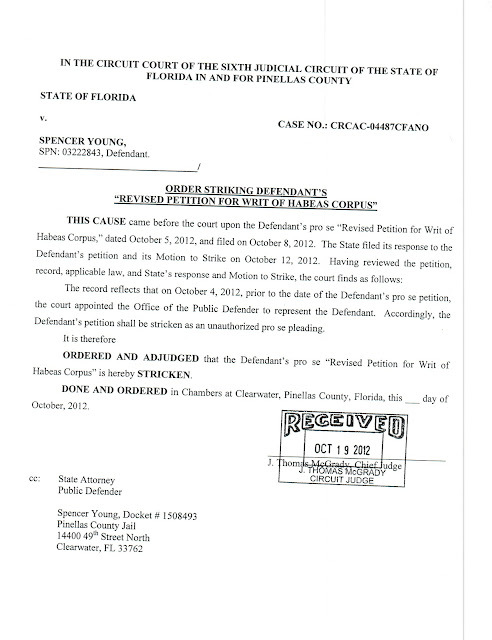 Pinellas County (Florida) Judge J. Thomas McGrady is a woefully corrupt judge, who disdain for the U.S. Constitution and associated Bill of Rights. 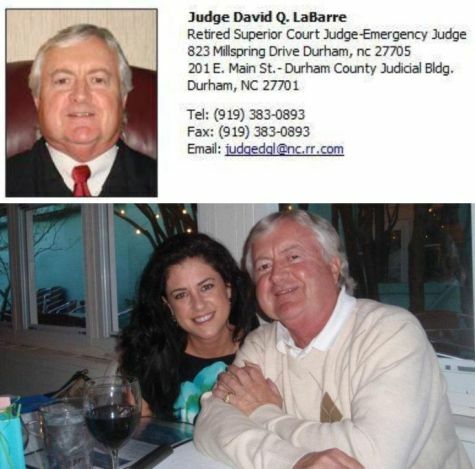 His atrocious behavior, underscored in today's "Order" (see below) reveals his complicity in the felonies of Durham, NC Judge David Q. LaBarre and LaBarre's girlfriend Leah R. Krier) and associated cover-up. McGrady represents a clear and present danger to the public at large and is as much a monster as criminally corrupt counterpart, LaBarre. 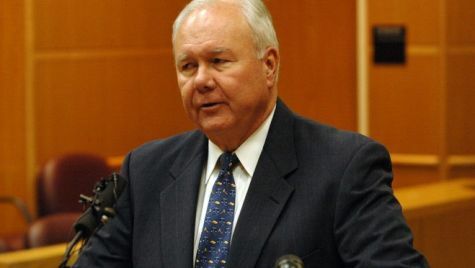 It is imperative McGrady be extricated from his position and prosecuted to the fullest extent of the law, and be held civilly liable (along with Pinellas County) for his reprehensible misdeeds and bastardization of the public's trust . . . the same hold true for LaBarre and Durham County (NC). 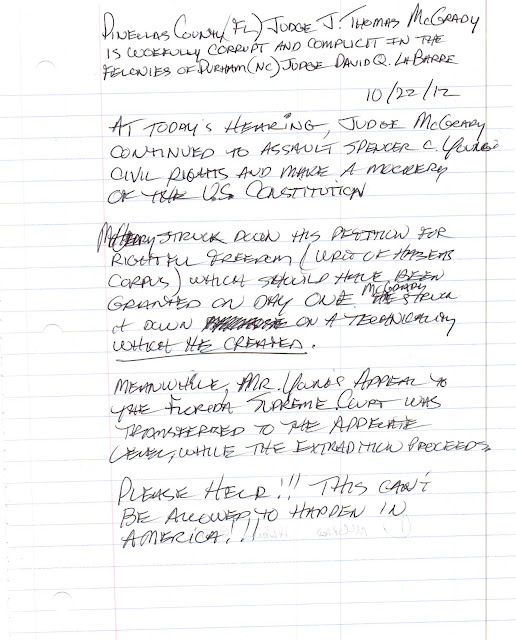 The jailing and torture of innocent Americans for the self-aggrandizement and personal pecuniary gain of corrupt judges must NEVER be tolerated and precedent-setting examples MUST be made of those public officials who abuse their vested authorities under the "color of law". McGrady and LaBarre are pernicious parasitic "monsters of society". Note: This post was uploaded by a private investigator Spencer C. Young had hired while being tortured and abused daily during his UNLAWFUL 127 day incarceration in maximum security jail with the most violent felons on FALSE charges.